Get your tickets today to see performer, author, and jazz historian Ben Sidran when he makes his Hamilton Live debut in just two weeks. The accomplished pianist, producer, and composer has had a prolific career spanning genres and generations. 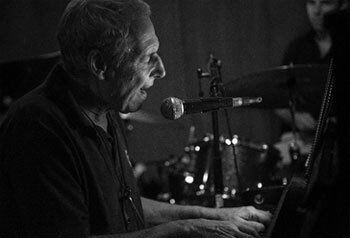 Sidran began as the keyboardist for a newly formed Wisconsin-based group named The Ardells, along with Boz Scaggs and Steve Miller. He would later co-write Miller’s 1969 hit “Space Cowboy.” Ben moved to Sussex to pursue a PHD in literature, only to end up a frequent session musician to Britain’s greatest rock musicians of the time (including Eric Clapton and The Rolling Stones). As a solo artist, Sidran’s passion and virtuosity is in the world of jazz. His love for the music is all-encompassing, and it shows through his vast body of work. In addition to over two dozen of his own studio albums, he has hosted numerous jazz programs on NPR, interviewed countless jazz legends, and published several highly-praised books on the history of the genre. The multitalented renaissance man takes our stage on Wednesday, May 24. Tickets are available now!